In Texas, it is not uncommon for a landowner to achieve enormous financial success simply because their property is positioned over a valuable oil or natural-gas deposit. The financial success, however, does not come from extracting and selling the minerals themselves. Rather, the landowner signs an agreement with an energy company that extracts the minerals and sells them on a larger scale while making the landowner a beneficiary of these sales. Under the agreement, the landowner is paid steady royalties for allowing the energy company to use the land. These royalties are extremely important in terms of the financial security. Losing this security would be a critical blow to anyone who has an interest in the assets. The main factor that causes the loss of the right to royalties for an oil and gas lease is the severance and separation of above surface rights from below surface rights. This means that the rights to the minerals beneath the surface may be owned an entity other than the landowner. To make matters even more complicated, the rights to certain types of minerals can also be severed or separated. This means that one entity can have ownership of the oil while another entity has ownership of the gas. Although these principles of separation and severance are legitimate in a legal sense, it can make keeping track of these interests increasingly difficult to follow. Therefore, it is common for oil and gas beneficiaries to be unaware of their right to ownership and payment of royalties. Unfortunately, under the law, being unaware of your right to payment is not an excuse. 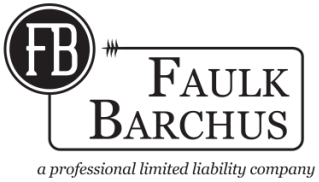 At Faulk Barchus, it is our job to wade through the complicated separation and severance of rights above and below the surface. As attorneys, we are in the best position to assist you by making sure that your oil and gas interests are protected in the event of a transfer via trust, will or other means.